Music has always played a big part in people’s lives. Whether it was for celebration, mourning or some other purposes, man often turns to music to set or define his mood and he has done this throughout history to this day. Many of the musical instruments we love and play today have a deep and interesting history that stretches hundreds and thousands of years before our time. 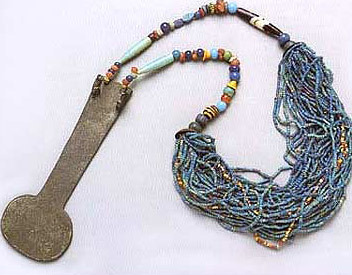 Some instruments were even used in Ancient Egypt, where they were either a part of some religious ceremony or were used to entertain the Pharaoh in his court. What Was the Role of Musical Instruments in Ancient Egypt? Musical instruments in Ancient Egypt often bore the representation of Hathor, the goddess of music, who was also associated with fertility and childbirth and was usually depicted playing or carrying a sistrum. In addition to Hathor, other important deities, such as Isis and Sekhmet, were also shown on papyrus or shown on temple walls, they too with an instrument in hand – usually drums or menit. As for the musicians themselves, they had a place in every social level in Ancient Egypt, from the poor streets of Thebes, to the temples in Memphis. Some of them even held considerable power and were close to the Pharaoh himself. This was the case with ‘sem’ayts’, women trained in the arts of music and employed in large temples as priestesses. From what we know from the hieroglyphs, men and women in Ancient Egypt played different musical instruments. As such, men were typically drummers or trumpeters, and their music was more often used in warfare. On the other side, female musicians were typically a part of some religious ceremony, a hymn or a prayer. Menit was a percussion instrument linked to Hathor. During her festival, for instance, priestesses of Hathor went from door to door, shaking it in order to bring health and long life to those inside. Of course, the instrument was used in other ceremonies, usually those that were supposed to bring some sort of healing or restoration, and its sound was usually accompanied by dancing.